Infinite Art Tournament: Michael5000 vs. Dickens: "The Pickwick Papers"
2012 Assessment: " I haven't read it, and don't know a thing about it." Current Reading: Ear-read on audiobook. The Pickwick Papers is Dickens' first novel, to the extent that it is a novel. Plot: Here's the story: Mr. Pickwick, having retired from business quite wealthy, decides to go out traveling and exploring the world. He cobbles together a few pals as "The Pickwick Club," and off they go into the wilds, although they never really get very far from London. 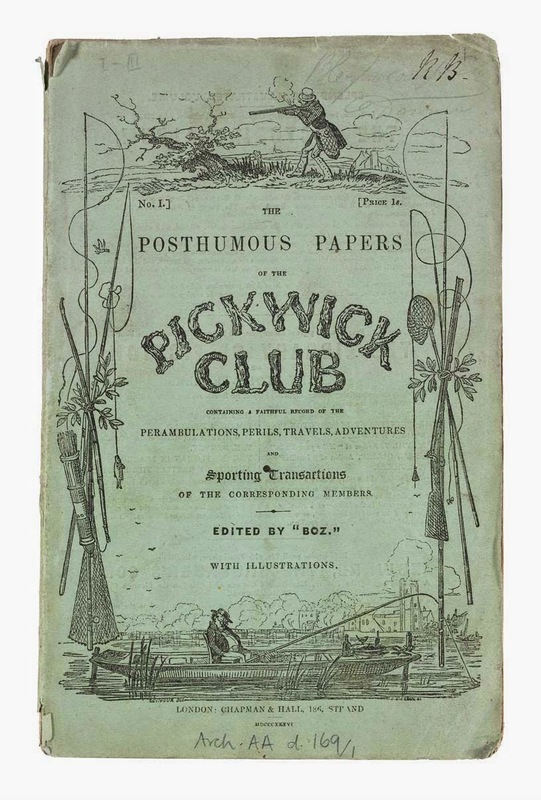 The Pickwick Club is something of a send-up of the learned societies of the age, and the cumulative joke is that the narrator speaks about this little group of buddies in the overblown language usually reserved for people and events of great importance. I actually like this kind of humor, but in the lack of robust supporting content it wears a little thin over the length of a fairly hefty book. Pickwick's travels are a framework for a picaresque grab-bag of stories, kind of like The Canterbury Tales in prose or an unsexy version of the Decameron. The boys are forever telling each other stories, or listening to someone else's story, or picking up a book and reading a story, and we of course always get the whole story. It's an old-fashioned device -- reasonable of course in an 180 year old book -- and boy oh boy are the stories themselves old-fashioned. Love stories, comic stories, ghost stories, most of them were surely chestnuts even as Dickens was writing them down. But, since Dickens was writing for a fairly newish periodical form and a fairly newish literate public, he might have been the first to get them written down in a venue that lots of people could enjoy. For whatever reason, The Pickwick Papers was a runaway hit, and after it took off not even Barnaby Rudge would slow down Dickens' career much. However, friends, there's not really much to recommend these dusty old stories today, to sophisticates like me and you. The third quarter of the book is the best. Like a fight at a hockey game, a novel suddenly breaks out and generates some real excitement. Mr. Pickwick gets sued over a misunderstanding, and over several chapters gets dragged through the courts and debtors' prison, and Dickens makes gleeful satire of what he saw (and hey, I'm not arguing with him) as the unjust, absurd, and often cruel aspects of these institutions. The firm story line, and Dickens taking on the kind of material that would later be the stuff and substance of his best work, makes this section really tower over the rest of the book. Mr. Pickwick, who otherwise (like his interchangeable traveling buddies) has almost no dimensionality whatsoever, has to make some tough moral choices. Solutions having been found, however, there is still quite a bit of book left to go and not a lot of compelling material to fill it. There are two characters who are a bit more rounded than the principles. Once is Sam Weller, a savvy servant who befriends Mr. Pickwick and repeatedly saves his rather naive bacon. 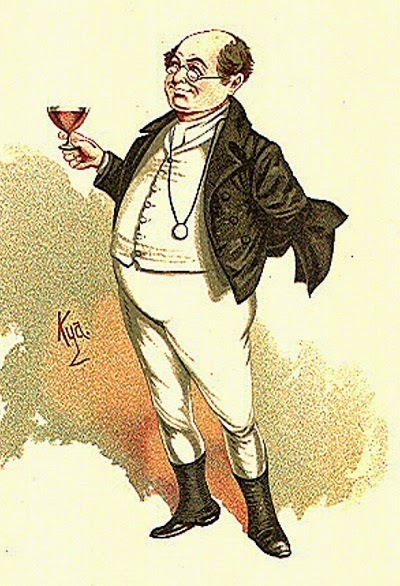 Weller was much beloved by the original readers, and it was apparently his character that made The Pickwick Papers such a hit. The character I liked myself was Mr. Jingles, an amiable confidence man who speaks in distinctively clipped, telegraphic sentences. I thought he was a hoot. Prognosis: It's more interesting historically than it is interesting as a piece of fiction to sit down and enjoy. I wouldn't recommend this one to anyone who didn't already love Dickens. Current Dickens Score: I have now read 9/14.5 of the non-Christmassy Dickens novels. Second Opinion: Mr. Pickwick is The Telegraph's 18th favorite Dickens character! You know, when I was poking around last night working on this write-up, I noticed that everybody who talks about The Pickwick Papers talks about the illustrations. It sounds like they are kind of integral, and of course don't really come across when you are listening to an audiobook. I know ~I~ had a sense of "OMG, you're going to break from the action to tell a ghost story? Really?" Not a gambit that many writers would try today. I take on board what you say about Mr Pickwick’s lack of dimensionality, but I think that is the whole point of the character: he is a naive, unworldly man, a blank canvas if you like - and the things he experiences in the course of The Pickwick Papers fill up the canvas, even if he forgets them afterwards. This means that Mr Pickwick really has many, many dimensions, and gives The Pickwick Papers an extraordinary scope and diversity. You might be interested in the news that I have actually written a novel about the origins and subsequent history of The Pickwick Papers. It’s called Death and Mr Pickwick and it will be published later this year. You can find out more at: www.deathandmrpickwick.com.